The Wizard MultiMedia Lectern is the most comprehensive, fully featured, presentation center available offering versatility, durability and beauty. The VGA easy connect console and sliding shelf are designed to support all leading brand document camera and LCD projectors. 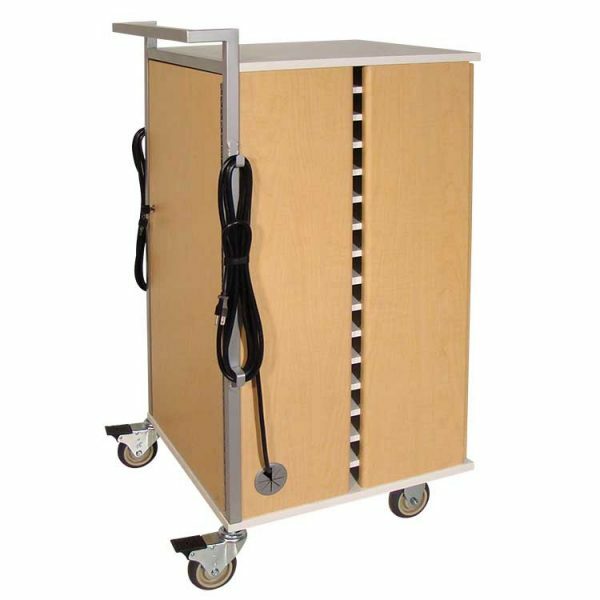 Additionally this power house includes a storage drawer, a flip up side shelf, an integrated pop-up lectern, ventilation, a mounted 6 outlet power strip and 25′ cord with winder. Everything you need in a lectern for multi media presentation organized and in reach.